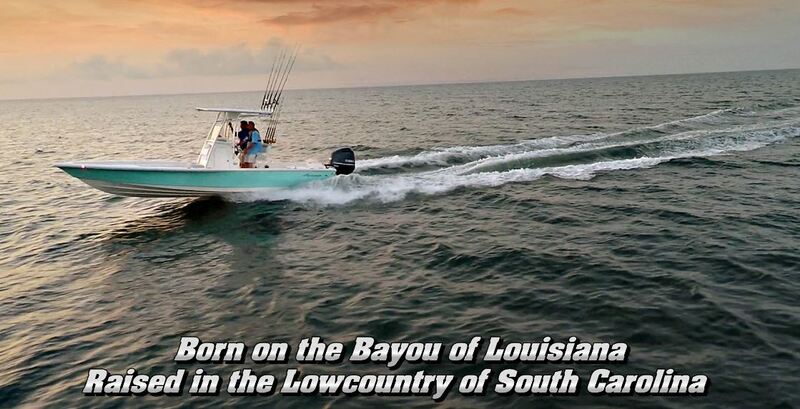 AVENGER is a low profile bay boat originally built in Louisiana in the 1980’s that is being proudly reintroduced by Carolina Composites in Walterboro, S.C. in association with Bill and Mike Butler from Venice Marina. The Avenger has been a popular name in south Louisiana for almost forty years, and some of the original hulls are still being used by guides fishing out of Venice Marina. Carolina Composites has researched why guides in the Venice area were so enamored with the hull design and retooled the boat, modernizing the hull design and adding an offset transom setback which opens up the back deck for more fishing room, allows for flotation to be added to the setback, and helps performance by refusing to allow the boat to ‘squat’ like some shallow running bay boats with big engines tend to do. They also increased the size of the storage boxes and added style and curb appeal. The boat crosses over what guides in the Louisiana area, and for that matter all over the east coast, demand in a fishing platform that offers the simplicity of a fishing machine in combination with a boat that can appeal to the weekend fisherman and even his family when cruising is the order of the day.